Stumble into the kitchen for coffee and toast, and suddenly the “Star Wars” theme starts playing in your head. That’s likely because the Star Wars Death Star Toaster is sitting on your counter, making your breakfast. It’s your choice, the light side or the dark side. 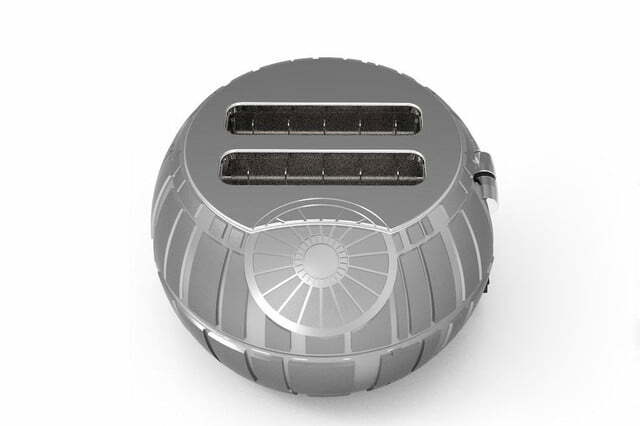 But no matter which you choose, the Star Wars logo will be toasted on your bread, not by “an energy field created by all living things,” but by conventional toaster heating elements, as reported on CNet. 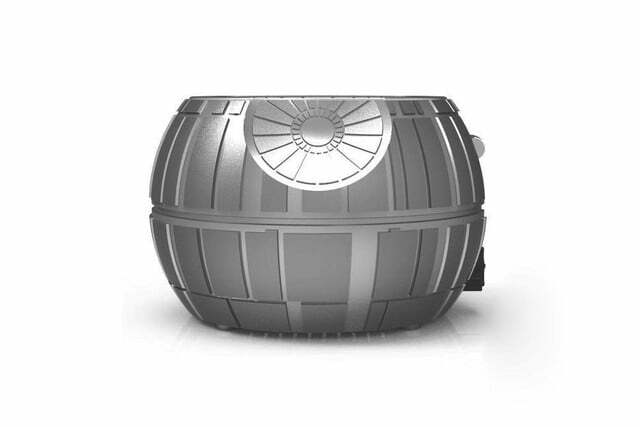 An officially licensed Star Wars product, the Death Star toaster is a conventional toaster, other than the exterior styling and the logo-burning, which you can’t un-select. 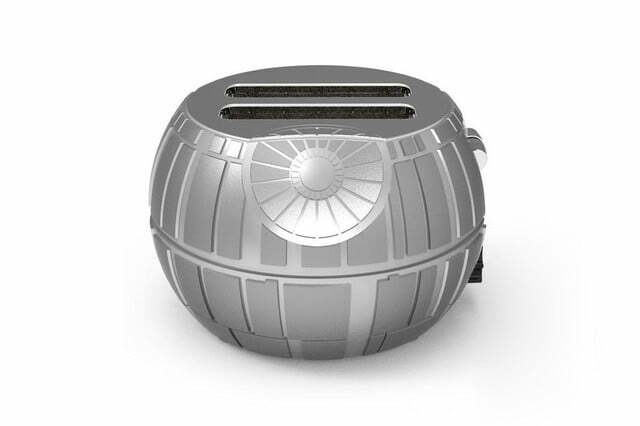 It’s a two-slice toaster with cool-touch housing, adjustable darkness level, and a removable crumb tray. There are also reheat, defrost, and quick-stop functions. 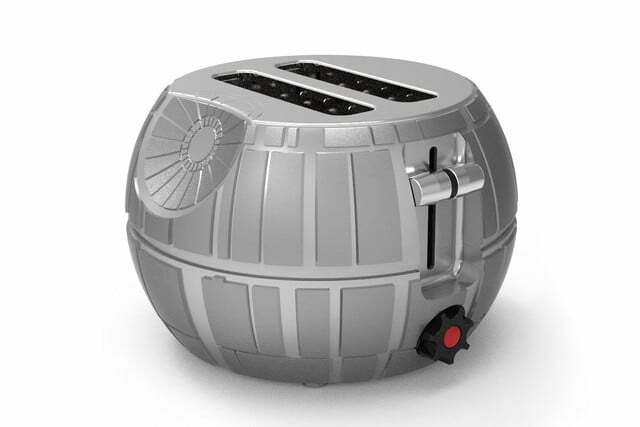 The toaster won’t be ready for shipping until late September, but you can pre-order it online at The Fowndry for 50 British pounds, or about $67 U.S. A note about pre-ordering on this site: even though you’ll have to wait several months until the Death Star Toaster is available, your credit card will be charged immediately because of the payment method used. You can, however, sign up to receive an alert when the toaster is available. 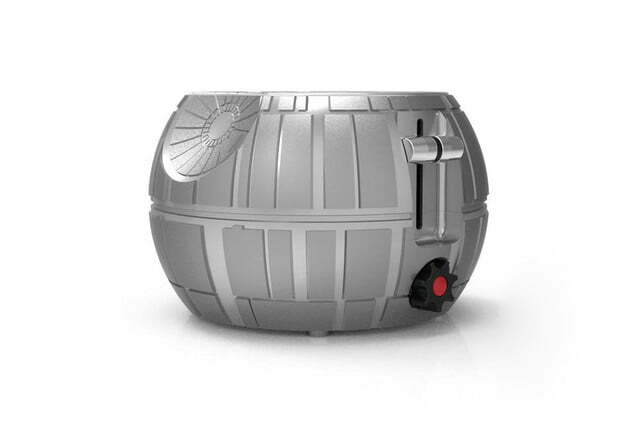 If you’re really into Star Wars-themed goods, The Fowndry has a wide selection, with shirts, socks, sweaters, salt-and-pepper shakers, a nifty Lightsaber BBQ Spatula, a TIE Fighter Nutcracker, and more.